BGSU’s College of Business goes beyond “business as usual.” Innovation, experiential learning and interactive teaching are core descriptions of the College. Our undergraduate curriculum emphasizes unique Applied Business Experience lab courses, a capstone course immersing students into real business problems, an integrated first-year business experience and co-curricular activities, such as internships and nationally-recognized student organizations. BGSU is a leader among graduate business programs, recognized for a curriculum that advances business professionals in a global marketplace. To apply to BGSU's graduate business programs, students must submit an application form, an official undergraduate transcript, GMAT scores, a resume, and two professional recommendations. The school also requests a personal statement, outlining the applicant's objectives in pursuing an MBA and explaining how they might contribute to the program. In...To apply to BGSU's graduate business programs, students must submit an application form, an official undergraduate transcript, GMAT scores, a resume, and two professional recommendations. The school also requests a personal statement, outlining the applicant's objectives in pursuing an MBA and explaining how they might contribute to the program. In some cases, applicants to the Executive MBA who have extensive work experience (10 years or more) may be exempt from submitting GMAT scores. For Professional MBA students, “Classes are not held on the main campus, but rather at a newly renovated, state-of-the-art complex that is approximately 25 miles north of the main campus.” This facility is “convenient, well-maintained,” and offers “full access to all technology (wireless web access, software, printers, etc.) to ensure success.” Even though they attend school off-site, part-time students say, “The administration office does a good job of keeping us informed of what is happening on campus.” Unfortunately, most part-time students agree that between “working full time and going to school two nights a week, plus homework and reading, there is no time left for other club activities.” On the main campus, “The business school has made great strides in improving facili­ties,” though some would like the school to improve the “building appearance and tech­nology amenities” in the classrooms. Full-time students benefit from “an active student body” and “a diverse array of activities on campus such as sporting events that we can access for free.” On campus and in the surrounding town, there are “a lot of students to socialize with.” On that note, students say Bowling Green “is very much a college town, with a good bar scene” and an affordable cost of living. Most students in the Professional and Executive MBA programs are already working full time when they begin the program at Bowling Green, and therefore, many are not active­ly seeking employment. For full-time students, career planning is woven into the cur­riculum at Bowling Green State University through practical courses in leadership, tech­nology, and other applied skills, as well as a series of professional development seminars. Through the business school, students may also contact career development specialists to help them with their job search. In addition to the assistance they receive within the business school, the Bowling Green State University Career Center assists the undergraduate and graduate community with their job search through career counseling, job and internship fairs, campus recruiting and career development workshops. MBA programs are as varied as the business schools that offer them. Some are big. Bowling Green State University's MBA is not. The incoming class of full-time students consists of only 40 people. This means small class sizes and easy access to faculty. Some programs appear to prefer an undergraduate business degree. BGSU does not. The full-time MBA can be completed in 14 months with or without an undergraduate business degree. A specialization requires only an additional semester. Some schools require business experience for admission. BGSU does not. The full-time program is designed for students who will be new to their chosen fields. Most business schools (75 percent) are not AACSB accredited. BGSU is AACSB accredited. Accreditation is one way to demonstrate how serious BGSU is about their business programs. The College of Business Administration has created a small-school atmosphere within a major research university. The outstanding students who comprise the MBA cohort reap the benefits of these resources without facing the cutthroat competition common in larger programs. The College of Business Administration serves approximately 2,200 undergraduate students and 250 graduate students. The College offers two undergraduate degrees (BS Business Administration and BS Economics) and six master's programs (Master of Business Administration, Master of Organization Development, Master of Accountancy, Master of Science in Applied Statistics, Master of Arts in Economics, and Operations Research Specialization in the Master of Science in Computer Science). The College consists of seven academic departments: Accounting and Management Information Systems, Applied Statistics and Operations Research, Economics, Finance, Legal Studies and International Business, Management, and Marketing. The Business Administration building is a modern facility providing classrooms and office space for faculty, staff, and graduate assistants. MBA classes are generally held in small seminar-style classrooms or computer laboratory classrooms. Bowling Green State University is a diverse, mid-size institution located in northwest Ohio, approximately 23 miles south of Toledo. BGSU was founded in 1910. The 1,338-acre campus houses more than 100 buildings in a small-town setting. The University serves approximately 17,000 undergraduate and 2,900 graduate students. 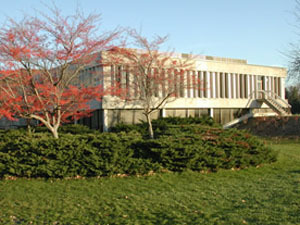 BGSU combines the resources of a first-rate research institution with the friendliness and ambience of a small college. The work of MBA students is supported by excellent facilities, including a modern Business Administration Building, an outstanding library collection, excellent computing facilities, and a network of campus research centers. The University's degree offerings include more than 165 undergraduate degrees, 15 master's in more than 60 fields, 2 specialist degrees, the EdD, and 16 PhD programs. The heart of the University is its 550 full-time faculty members, who are engaged in teaching, research, and public service activities. Know the fundamentals of business well.Recognize the ethical obligations of leadership.Engage problems creatively.Learn on their own, continuously.Work well in teams with diverse memberships.Understand change and know how to adapt and succeed in the midst of change. The MBA program provides a broad curriculum organized around three principle components: foundation, core, and capstone courses. The foundation courses cover Financial and Managerial Accounting, Economic Analysis, Statistics, Quantitative Analysis, and Information Technology. The core courses include Financial Management, Operations Management, Marketing Management, and Ethics and Law in Business. The capstone courses cover Economic Policy, Leadership and Change, Strategy Design and Implementation, and International Business and Management. For full-time students, the program includes modules on Computer Skills, International Business Principles, and the Foundations of Ethical Leadership. In addition, students take part in a series of co-curricular professional development seminars dealing with topics such as presentations and report writing, team facilitation, effective negotiations, career planning, and organizational politics. Although students may choose to do a general MBA, they also may pursue a formal specialization in Accounting, Finance, or Management Information Systems. Or, a student may pursue the dual degree option and earn a second master's degree in any of a variety of fields, such as Organization Development, Public Health, Industrial Technology, or Public Administration. The MBA degree requires a minimum of 42 semester hours (47 semester hours for full-time students). The general MBA may be completed in 14 months regardless of the student's prior undergraduate preparation. An MBA with a specialization requires 12 additional semester hours (one additional semester of full-time study). The full-time MBA program primarily serves students who will be entry-level professionals upon graduation and does not require business experience as a requirement for admission. The evening MBA program serves students with professional experience and an ongoing career. Neither the full-time nor evening program requires prior academic preparation in business. Bowling Green State University has been offering an Executive MBA program since 1977. The EMBA program is a rigorous, accelerated program that requires 12 graduate courses. The program serves students with extensive professional experience and is designed to accomodate the demmands of professional travel and relocation. Prior academic preparation in business is not required for the EMBA program. However, candidates must be nominated by their employers, unless self-employed. A comprehensive and carefully designed career planning and placement program is an integral part of the BGSU MBA experience. Career planning activities begin during orientation week and continue throughout the year. The Career Services office, which has been recognized nationally and regionally for the quality of its programming, assists with career development and job placement from the student's first semester through actual job placement. Want more info about Bowling Green State University, College of Business Part Time MBA? Get free advice from education experts and Noodle community members.